Here is the text of His Excellency’s University of Melbourne Doctorate of Letters acceptance speech, attended by our Patron The Hon. Steve Bracks. It is a great honour to be awarded an Honorary Doctorate of Letters from the University of Melbourne. I would have loved to study and go to a university like this one, but the world I grew up in was a very different place. I could not afford to continue my education. I had to leave school when I was16 and then I studied at night school with a dream of attending university in Portugal. Years later events playing out in distant Washington DC, Canberra and Jakarta, exactly forty years ago today, made that dream impossible. By pure coincidence, this ceremony is taking place on a very special day- 7th of December! Forty years ago today, the Indonesian military invaded East Timor. Forty years ago today, the Timorese people were overwhelmed by Indonesian troops landing on our beaches and dropping in parachutes from the skies. It was a terrifying time and thousands of lives were lost. As your students would be taught at this fine university, there are realists and idealists in international relations. According to the realists, international relations are driven by power, and power alone. According to the idealists, international relations should be guided by agreed principles of justice. The fact that Timor-Leste exists today, as an independent nation, the191st state to join the United Nations, is proof that sometimes the realists get it wrong- that the powerful do not always prevail over the weak. The realists underestimated two key,related factors that made all the difference in our campaign. While the people of Timor fought a bitter guerrilla war,a war of resistance, against the military dictatorship, our friends in the international community fought a diplomatic and political war. One international battle ground was the United Nations- an organisation dreamed up by idealists following the Second World War. My dear friend José Ramos-Horta, who earlier this year was invested as an Honorary Companion of the Order of Australia, led our campaign in the United Nations. Thanks to his efforts,and to those of other Timorese, and the many nations that refused to recognise Indonesia’s illegal occupation, our cause stayed on the United Nations agenda for 24 years and eventually the United Nations paved the road to our independence. The United Nations is an imperfect organisation, but the fact that it exists is a triumph of idealism over realism. Our other international weapon was people – our supporters in Portugal, and in the United States, where prominent academics like Noam Chomsky took up our cause, and in Australia where here in Melbourne a grassroots group of activists joined the 4 thousands of Timorese who were welcomed here as refugees, to keep the tragedy unfolding in Timor in the public eye. None of our international supporters had to do what they did. It wasn’t their families being torn apart, being starved or killed. It wasn’t their country that was invaded. And yet they chose to act, to call out to the world, each in their own way, about the great injustice that was occurring in my country. The support of the Australian people made it clear to us that while successive Australian Governments supported the illegal occupation of our country, the Australian people did not. It inspired us that many activists in our Australian solidarity movement continued to support us. We are humbled, for example, by the efforts of the family members of the five Melbourne based journalists killed at Balibo near the border of Indonesia forty years ago, who, through a charitable trust, are supporting the Balibo community with a community centre, social enterprise hotel and an upcoming dental clinic. Other great Victorians like my dear friends the Honourable Steve Bracks AC and Harold Mitchell AC have helped us as our people’s struggle goes on. Achieving the restoration of our Independence turned out to be but the first step in achieving true freedom for our people- a freedom from poverty and the freedom to realise our full potential as a nation and as a people. To do that we had to learn to forgive. We had to let go of the past. Many Australians are surprised to learn that Timor-Leste and Indonesia, have successfully pursued a path of reconciliation and partnership. We are sometimes criticised for being too forgiving, but I resolutely believe that the only way to move forward, the only way to ensure our survival, as a people and a nation, was to follow a pathway of reconciliation. That meant we had to embrace our jailers,and sit opposite our former oppressors. We had to reconcile with our brothers and sisters, and cousins and sometimes parents and children who had taken a different path. Timor-Leste and Indonesia today are a positive example of cooperation between the Muslim and the non-Muslim world. Our shared commitment to negotiate maritime boundaries is a recent powerful example of where the path of reconciliation has taken us. The Government of Timor-Leste has made the permanent delimitation of maritime boundaries a national priority as it is the final step in our long struggle for full sovereignty. 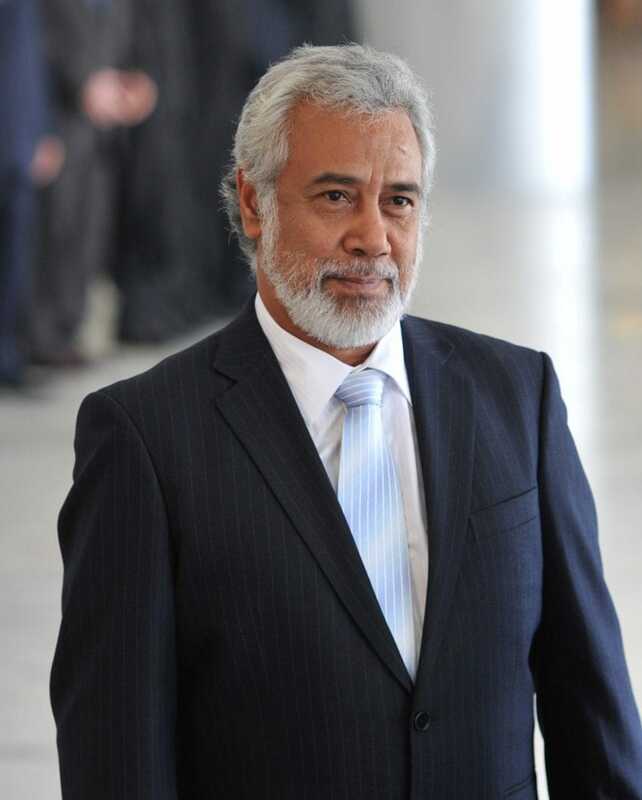 Indonesia and Timor-Leste have commenced maritime boundary negotiations and have agreed to abide by the principles set out in the 1982 United Nations Convention on the Law of the Sea and international law. Australia on the other hand has refused to negotiate a maritime boundary with Timor-Leste and Timor-Leste cannot refer the issue to be determined by an independent umpire. This is because in 2002, on the eve of Timor-Leste’s independence, Australia withdrew from the compulsory dispute mechanisms set up under the United Nations Convention on the Law of the Sea for any disputes relating to the delimitation of its maritime zones. Like your new Prime Minister Malcolm Turnbull, I am an optimist. And so,I look to the new Australian Government to recognise that it is in Australia’s national interest to have a clearly defined permanent maritime boundary in the Timor Sea. From the Timorese perspective we are fighting for justice in the Timor Sea so that we can finish the work of our struggle for independence and achieve our rightful sovereignty under international law. We are continuing to be idealists. Ladies and Gentlemen, building a new nation from the ashes of our traumatic past has not been easy .But we are making progress- despite most of the stories that make the Australian media. In 2011, we released the Timor-Leste Strategic Development Plan 2011-2030 that provides a comprehensive framework to transform our country from a low income nation to a country with upper-middle income levels by 2030, with a population that is secure,educated and healthy. It is an ambitious plan but we are on track. We have completed the largest infrastructure project in our people’s history by building a national electricity grid with generation and distribution across the country. And we are embarking on an infrastructure program to provide a basis for our nation’s sustainable economic future which will include a new national port, a major airport upgrade,a national road network and the extensive development of our south coast to become a sub-regional centre for the petroleum industry. We have established a Human Capital Development Fund to build the human resources of our nation and already our students are spread out around Asia and the world to learn the skills necessary for State building. Our progress can also be measured by looking at health and education. Here Timor-Leste is making progress. School enrolments are increasing and child mortality rates have seen a sharp decline. Many Australians are working with us to bring better education, health care and food security to our people.They are some of our most important partners in our future. The University of Melbourne is one such partner that has had a long relationship with Timor-Leste and a productive partnership with our own national university- UNTL. We have also had several Timorese students study at this great institution who have gone on to serve the government and people of Timor-Leste in various areas. – Common vision for the future that will allow for a national consensus on fundamental areas for the development of the country. Our most recent achievement has been the transition to a new generation of leaders. In February this year, I voluntarily stepped down from the top job at a time of my choosing and when I was confident that there was someone in place who could lead our nation forward. Our new Prime Minister, Dr Rui Araújo is an accomplished and experienced administrator and a former Health Minister and Vice Prime Minister. The new cabinet brings in other fresh talent from different sides of politics while retaining our best performing and most experienced Ministers. We recognised that we could not effectively build our nation with hyper-partisan politics so we have included in the cabinet, members who are serving as individuals who are from the Opposition Party. This not only allows us to make sure that our government has the best people our small nation has to offer,it also promotes national cohesion and stability. We acknowledge this arrangement is unusual, but it is working for us. It has been peacefully achieved and the wheels of our State are still turning. In contrast, too many of the world’s democracies are often paralysed in a political and ideological conflict that prevents them from addressing domestic issues, and stops them assuming global leadership and tackling global challenges. Before I finish I would like to thank the University of Melbourne for conferring on me this Honorary Doctorate. I believe that the world needs institutions like the University of Melbourne.Great institutions of ethics and learning that strive for the truth are needed now,more than ever, to cut through the rhetoric and obfuscation that pervades our society and that diminishes our democracies.We need an informed public dialogue so that we can address our common challenges. The University of Melbourne has such a proud history of discovery and learning – the objective pursuit of truth which is indispensable to justice and to human development. Universities, such as Melbourne,are an important part of the global endeavour towards progress,and with it,sustainable peace. And to the students and scholars of this University, I urge you not to take this for granted. You are privileged to have one of the world’s greatest institutions of learning and I urge you to continue its great work for the benefit of us all. I will end here with my personal thanks to a few people who I need to mention. The Chancellor Elizabeth Alexander AM and the Vice Chancellor Professor Glyn Davis AC for honouring me in this way. And Kirsty,an alumni of this great university, and my sons, Alexandre, Kay Olok and Danny, for being a constant inspiration. And to the people of Timor-Leste- for their continued courage, determination and optimism. And all our friends here in Melbourne, thank you for coming and thank you for listening.